I’ll be honest… the #1 most annoying thing that my stepdaughters ever say to me is, “We don’t have to do this at Mommy’s house,” or, “Well, Mommy lets us do this!” Who can relate?! I know I’m not alone in this struggle. I hear similar stories from my stepmom friends around the world… and let’s not forget our husbands! This is equally as frustrating to them. For any parent, I’d imagine it’s pretty infuriating to have a child in your home not willing to follow your house rules. Adding that extra layer of a home-comparison can really push you over the edge, if you let it. As a self-admitted hot-head who really needs to read this more than you do, I’m here to share some tricks I’ve learned over the years to debunk the myth that children are incapable of listening to you, just because they prefer the rules (or lack thereof) at their other home. To begin, it’s important you understand why this sets you off. Why do you get totally outraged when your stepchild says, “Well, I don’t have to do this at Mommy’s house!” or any variation thereof? Is it because you wholeheartedly believe in your rule, and don’t understand how another home could operate under any different set of rules? Is it because you don’t respect your stepchild’s mom as a parent, and you get hung up in the, “Oh, of course she doesn’t make you do that!” mindset? Is it because as the parent, you need to be in charge, and the kids need to do whatever you ask of them on the first ask? Are you a fellow hot-head?! Or are you frustrated because what you’re asking the child to do is actually important, and you wish they understood, and complied? Understanding why the action upsets you will help you move forward in your plan of action. 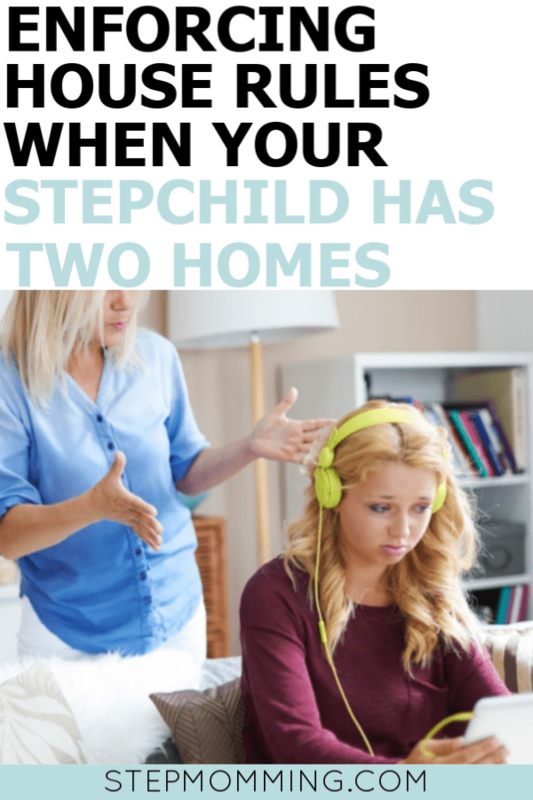 This one should be obvious… but really think about why your stepchildren may be defying your wishes, and why they may be making the comparison to their other home. Does the child not understand the importance of the request? Are they too young to understand? Are they in that phase of childhood where everything is very literal and matter-of-fact? Are they simply pointing out a noted discrepancy between their two homes? Are they just flat-out lazy? Are they in disagreement with you about something else that has sparked rebellion? Do they know that bringing up their other home will get under your skin? Do they know that comparing your house to their mom’s house is a point of conflict? Is this a strategic tactic they are using to get out of basic household responsibilities? Understanding why your stepchild may be arguing a request and comparing your rules to the rules of their other home is an added layer of knowledge in creating your plan of action. Step 3: Lay Down the Law, Respectfully! Depending on how your home operates, it’s time for you (or your husband) to explain to the child the importance of doing what is asked of them in your home, regardless of what the expectations are in the other home. Children are more resilient and adaptable than we often give them credit for. Just as they are able to adhere to different rules between school and home, they are certainly able to adhere to two sets of rules between two separate homes. It doesn’t matter how often they are in your home. It doesn’t matter what they do at Mommy’s house. It doesn’t matter if it hurts their feelings. When you have made a simple request, they need to comply. Don’t overthink this as a blended family issue. Set yourself free of the mindset that you are competing homes and instead, understand that there is no competition. Your home is your home, and her home is hers. Disobeying rules or questioning authority is an issue that is widespread throughout most homes. Don’t get hung up on the words the children chose to use… on the fact that they referenced their other home in a somehow more positive light. Instead, focus on the fact that this is simply just a child, either pointing out a definitive discrepancy they have noticed, or trying to get out of pulling their weight around the house. Having children in your home who question what you ask of them can be incredibly frustrating. Add to this the blended family dynamic, and the feeling that nothing is within your circle of control, and a simple statement of contest can really ruin your whole mood if you let it. 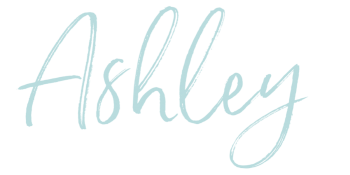 The next time you ask your stepchildren to do something and they respond with, “Mommy doesn’t make us do that!” take a breath, think it through, and have an honest conversation with them. Never forget, they are much more resilient than you think. P.S. Think it would be easier if you could align rules between houses? It’s important to remember your circle of control!